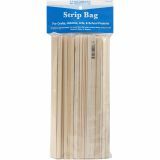 Wood Strip Economy Bag - MIDWEST PRODUCTS-Wood Strip Economy Bag. 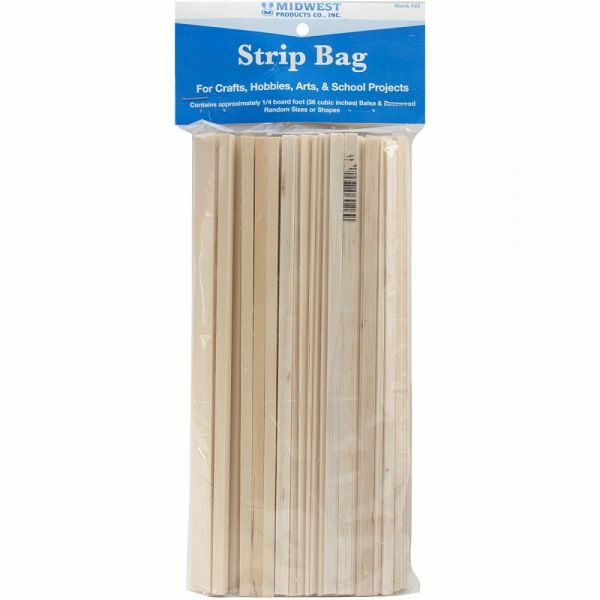 This set of wood strips comes in a variety of random sizes and shapes that can be useful in many projects. Wooden strips are made from Balsa and Basswood. This package contains approximately 1/4 board foot (36 cubic inches) of wooden strips. Made in USA.